Tina and Jason Logan inspired the light-box experiment when they approached us to help bring some light back to their staircase and hallway. Previous owners of their home, Fernbank House in Aberfeldy, had extended the property at the back and, in the process, had erected blockwork across the opening that had previously been a window, a very large window, part way up what would have been a rather grand staircase. The embrasure, window and sill had been retained, but the window boarded up and disguised by a picture. Tina and Jason decided they wanted to bring light and some style back to their staircase. Removing the boarding they re-discovered the window, but this was in poor condition and would have needed a new light to be introduced behind it. They approached us to come up with a solution, both to the window itself and a light-source. You can read about the light-box experiment elsewhere. 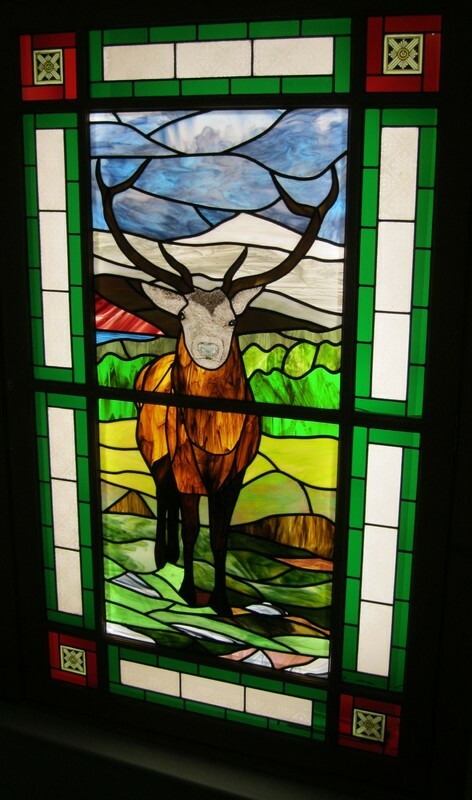 The project involved building a new hinged window/door into which the 12 leaded panels were mounted, building the light box into the space behind and installing LED lighting and controls. 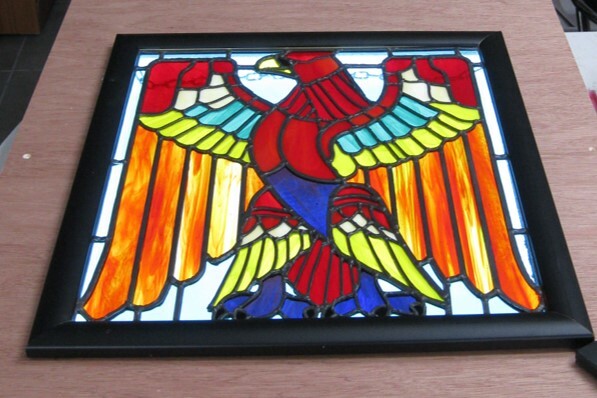 The glass for the corner panels and the etched glass in the side, top and bottom panels was salvaged from the original window and is therefore thought to be of late Victorian vintage. The design was a collaborative effort between Anne and Pat, but with huge input from Jason and Tina. 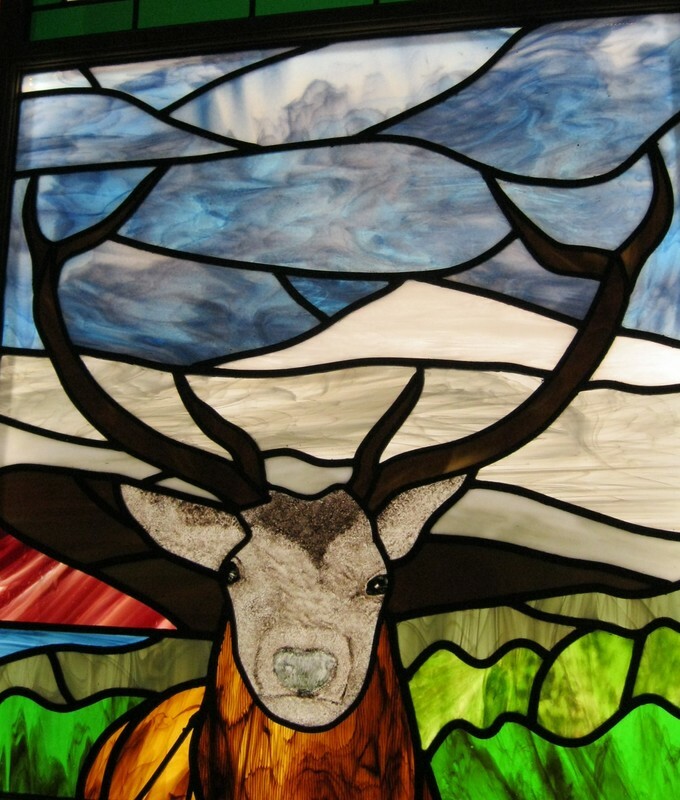 The painting of the Stag's head and ears was Anne's work, the rest of the glass work was Pat's. A close up of the head is below. For those interested in the full story of this project, press the button at right.